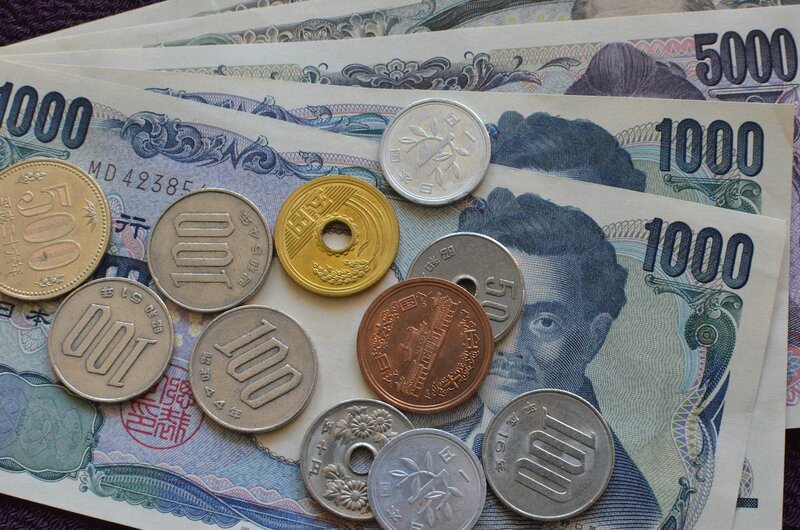 The Japanese yen (円, en) is the official currency of Japan. One yen nominally trades at around 1 US cent. So, dividing a price in Japan by 100 gives a rough equivalent. The equivalent of a cent, the sen (1/100), was taken out of circulation in 1953. 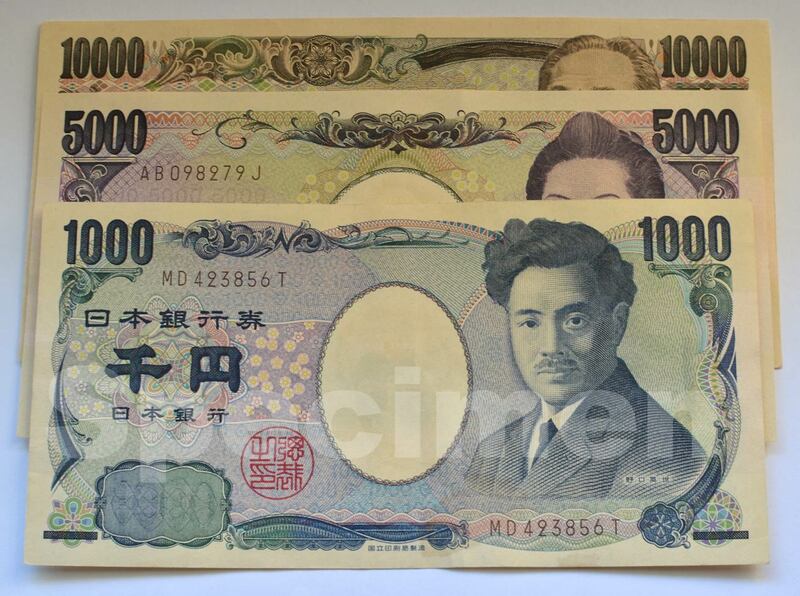 Widely available bills are the 1,000, 5,000, 10,000 yen denominations. 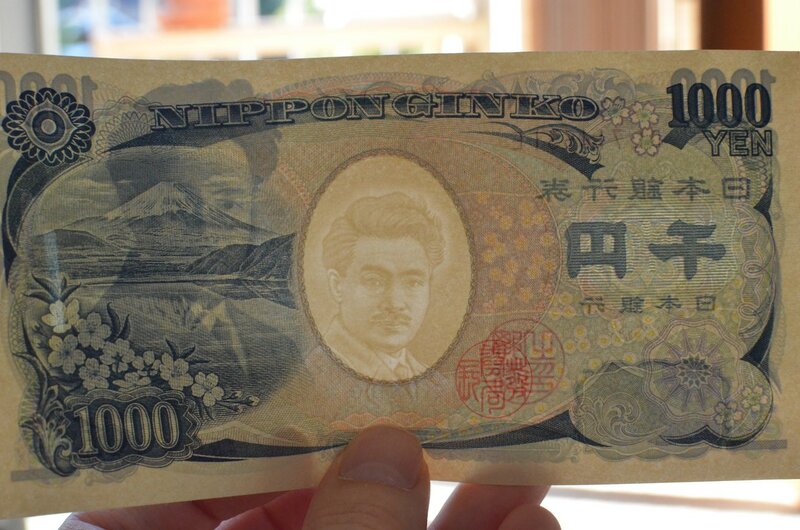 A 2,000 yen bill exists in circulation, but is rarely seen. The bill's dimensions increase slightly in size with value. 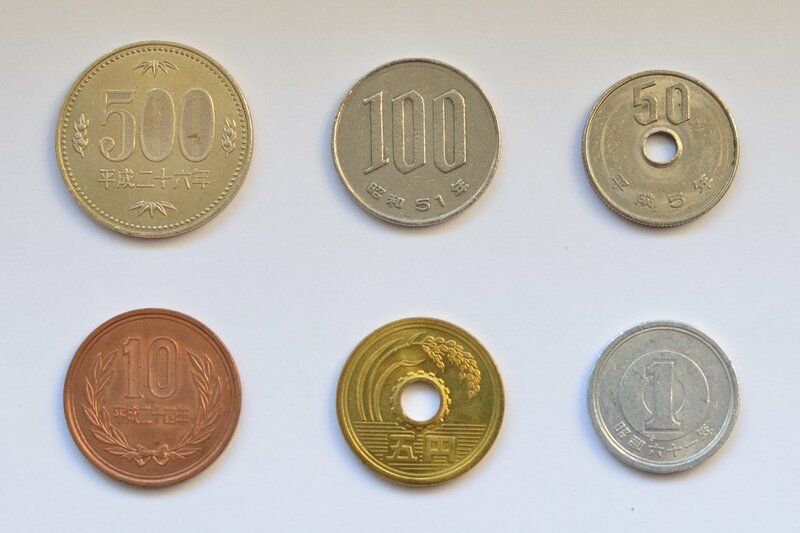 Coins are produced in the 1, 5, 10, 50, 100 and 500 yen denominations. The 5 and 50 have holes in the center. It cuts down on material and makes distinguishing between the 50 and 100 yen coins easier. The wide range in style, weight, color and texture make the coins very easy to use. Aside for the ugly copper 10 yen coin, it is a nice looking set of coins. The designs on the coins have remained the same for many years and you'll find relatively few commemorative coins in circulation in Japan. A composite image of all the common bills and coins. Bring plenty of cash along with your credit cards. Japan is a cash centric society and you should expect to be paying most small expenses like entrance fees and rail tickets within cities with it. Foreign currency is not accepted anywhere except inside airports. Fortunately, Japan is very safe and has little petty theft so you should feel secure when even carrying even large amounts of cash around. Credit cards have become a more useful method to pay in department stores and other large stores and hotels in cities. Japanese yen is best acquired where (and when) you can get the best rate. Independent exchangers in major airports are known for giving good rates. Traveller's checks and cash in common currencies (USD, Euro) can be exchanged at most banks. Banks take their sweet time about it, though. Large hotels may have an exchange desk that operate at a swifter pace. ATMs at Japan Post Bank and Seven Bank (7/11) allow access to foreign credit accounts. If heading to a rural area, stock up on cash; Exchanging money becomes harder and credit cards are less likely to be accepted. Using big bills to pay for small items is generally well received. After a brief show of counting your change, you'll be on your way. The exception to the rule is local buses. They probably can't exchange large bills and holding up the queue as you get on or off is a cardinal sin. You'll be well advised to have your exact fare sorted out before you get on board or have some smaller bills. 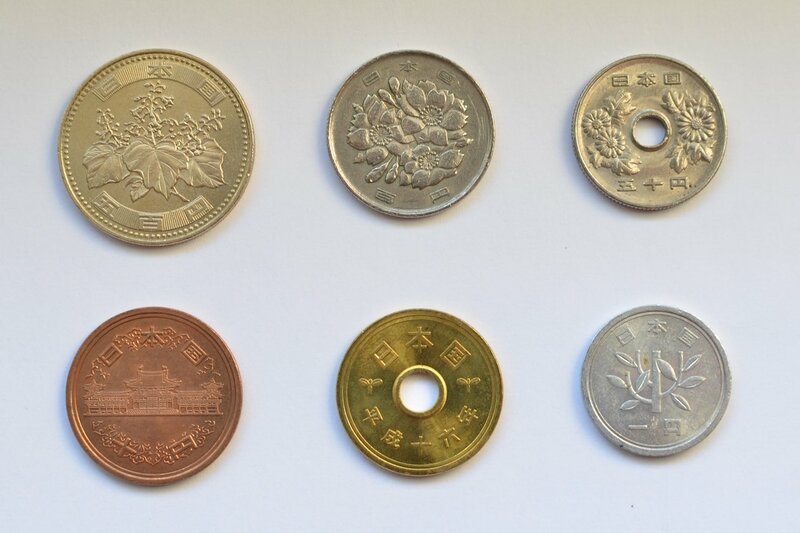 If you find a 5 yen coin in your change, hang onto it for providing offerings at shrines and temples. Other coins will do in a pinch, but the 5 yen coin is considered the proper coin to toss in. 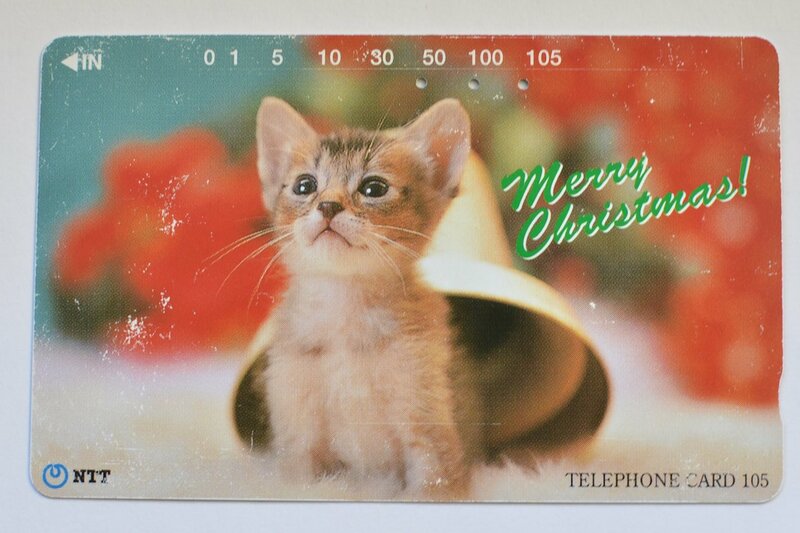 Japan has a plethora of cards mostly created by train companies that can be charged up with cash and then used to buy tickets and make small transactions at stores and vending machines. 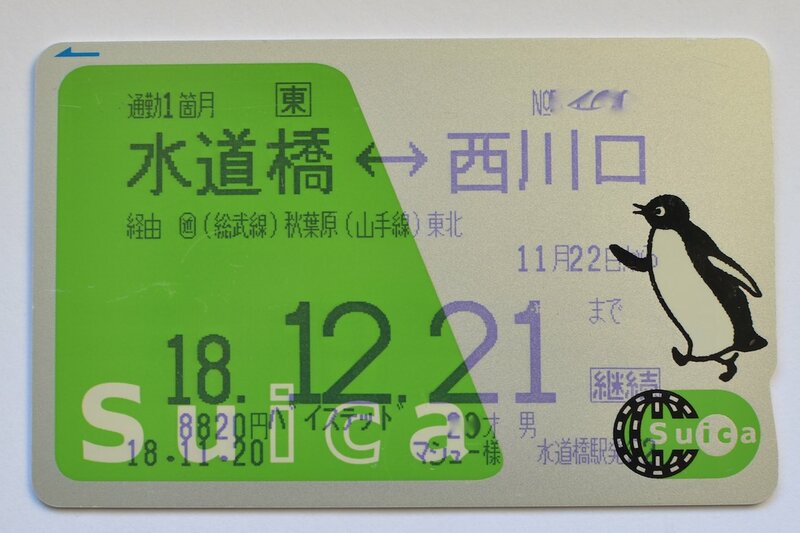 One of the most well known is the Suica card created by JR East. The cards can make moving around on trains and buses much simpler. Just tap when entering and tap when exiting. There's normally a deposit required (500 yen for the Suica card) and a small fee (220 yen for Suica) for returning your balance and deposit. Many of the cards work on each others readers now. While the same word, yen is pronounced "en" in modern Japanese. Modern Japanese was standardized after "yen" became the standard spelling in English. The word means round and comes from the circular coins. Japanese simply refer to all the bills and coins by the face value. There's no nicknames like a buck or penny.